Did you watch Germany steamroll Brazil Tuesday? The 7-1 victory in the World Cup semi-final was certainly going to be the talk of sports television, Germans, and (through sobs) Brazilians, but apparently you and everybody were tweeting about the ill-fated Germany-Brazil game, too. 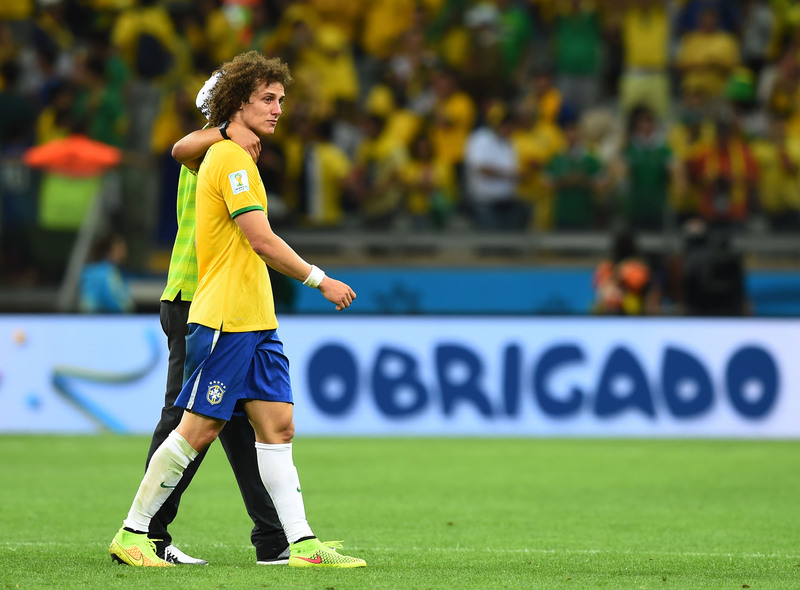 The match broke all kinds of records on the social media site, along with thousands of Brazilian hearts. The match became the social media's most discussed sports game ever, edging out the 2014 Super Bowl game's measly 24.9 million tweets with a whopping 35.6 million. @TwitterData posted a host of visualized data from the match on its own feed, including a geotagged timeline of key terms that kind of makes it look like the world is catching on fire. The Guardian notes that the goal frenzy also topped Twitter buzz about Usain Bolt's 2012 gold-medal sprint (peaked at 80,000 tweets per minute) and Beyoncé's Super Bowl half-time performance (peaked at 268,000 tweets per minute, approximately half from me). Outside of the world of sports, Miley Cyrus twerking (peak 360,000 tweets per minute) and Barack Obama's Democratic National Convention acceptance speech (52,756 tweets per minute). Leave it to the World Cup to make us all feel like we care about soccer! Twitter has set up World Cup fans with the perfect platform for discussing the matches. They have temporarily put in a side bar of the matches happening happening that day, with the scores updated in real time. And, with a feature I like way too much, by hashtagging the country abbreviation it automatically includes the little flag. No, this is not a wildfire map. This shows the key terms tracked and replayed. Needless to say, the game was explosive. Miroslav Klose ended up being the most mentioned player on the network. And I bet there would be even more if it accounted for misspelling. Twitter activity spiked around the Germany goals. But after the fourth it started to taper off as people presumably started feeling embarrassed for Brazil and went back to tweeting dinner pictures. Sami Khedira won Twitter yesterday, peaking the tweets per minute at 580,166. Good for you, Sami Khedira. You go, Sami Khedira.